Gloria Caceda, director of global administration for World Fuel Services, describes her job role and duties as swim lanes and keeps her team united, lest they all sink. 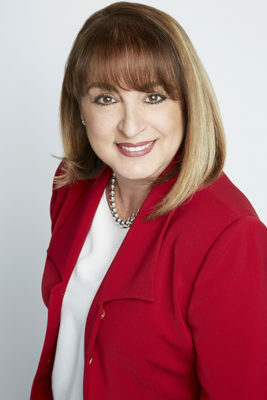 This successful mind-set—seasoned with more than thirty years of experience in the industry of facilities management and administration, including three years in corporate travel management—had Caceda promoted within the past year to be the first director of global administration for World Fuel Services, a Miami-based international energy, logistics, and technology solutions provider for aviation, marine, and land customers and suppliers. The company ranks 103 on the Fortune 500. Her most recent successful two-year long project was the drafting, publishing, and endorsing of the company’s first-ever extended global travel policy that went into full-effect this past year and was signed by World Fuel Services executive vice president and CFO Ira M. Birns. The company’s budget shows a current savings trend of 50 percent for the same routes, compared to last year’s figures. The new policy is also demonstrating a 78 percent global compliance. She is grateful to having worked alongside the great partners that make up their C-Suite. The company was originally founded in 1984 under the name of Trans-Tec and was later acquired in 1995 and given its current name. The company’s next step of evolution is Caceda’s current project of implementing a global administrative network. Her objective is to have one point of contact at their major offices to distribute corporate information regarding the standards of administrative procedures and practices, compliance matters, and local insight as to the needs and requirements of all employees, including employee morale, wellness, and retention. This playbook will ensure the smooth transition of office relocations and have the daily operational activities accounted for prior to the opening of any new major office. Staying flexible, agile, and adaptable helps Caceda get the job the job done, as daily challenges arise in the fast-paced and ever-changing corporate landscape of the fuel industry. She remains positive, never taking feedback as a negative, always willing to listen, working as a team unit, and being honest, rather than political. She chooses the right decision regardless of the challenges and whether or not she will be liked or disliked for those choices. Because she manages a lot of the company’s money and assets, if she cannot defend her decisions, she does not spend. “My motivation is that I can go home at night and be at peace the decisions I made for the company are the right ones,” she says. Caceda became the strong Latina she is today, mainly from motherhood and her mentors, who are today her life-long friends. “My children molded me into who I am,” she says. When her twin boys were five-years-old, Caceda became a single parent. “That forced me to make sure that I was able to think outside the box of who I am—to what I needed to be,” she says. Her boys, who are now successful on their own, are the guiding principle of her life, both professionally and personally. Over the course of her career, her logical-thinking and hardworking attitude has brought her success. Her first mentor from one of her first jobs was the CEO of a global shipping company, who never allowed her to just “sit on the sidelines.” He made aware to Caceda her smarts and strength. After that job, she landed a position with a large advertising agency and worked for the CFO who was the first powerhouse Latina executive she had ever witnessed. “I am proud to call her the sister the universe sent me,” she says. Today, she mentors within her team and instills in them what she learned: to be strong, independent, and knowledgeable.